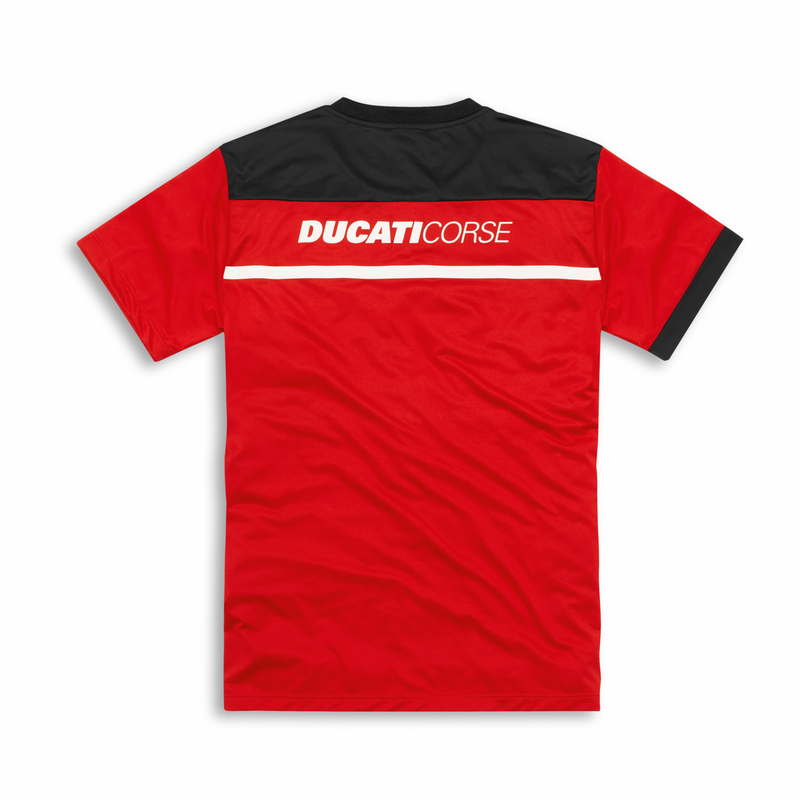 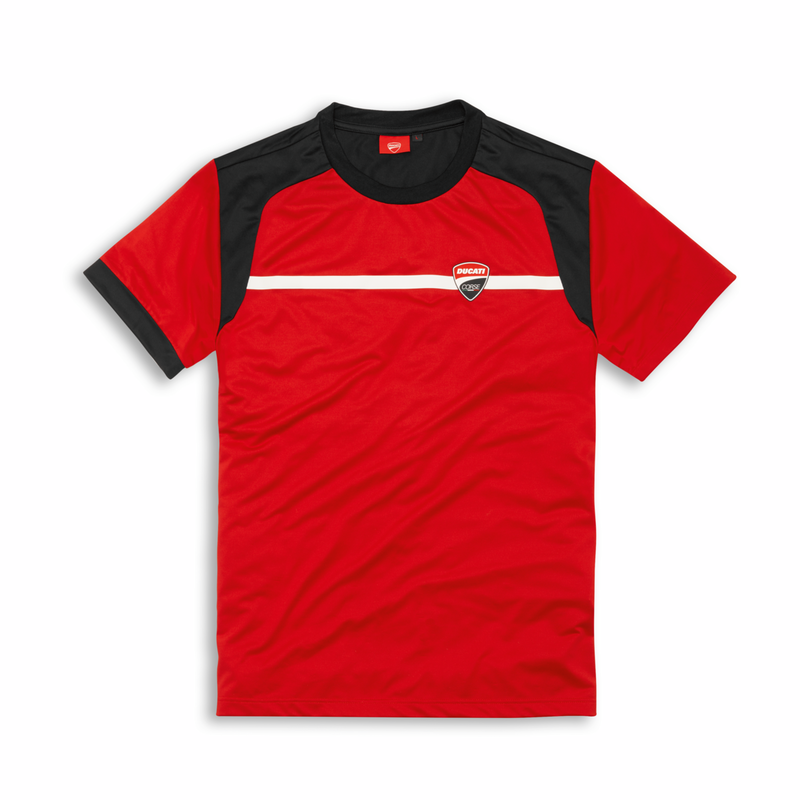 This soft Ducati Corse T-shirt features a bold racing personality and optimal comfort. 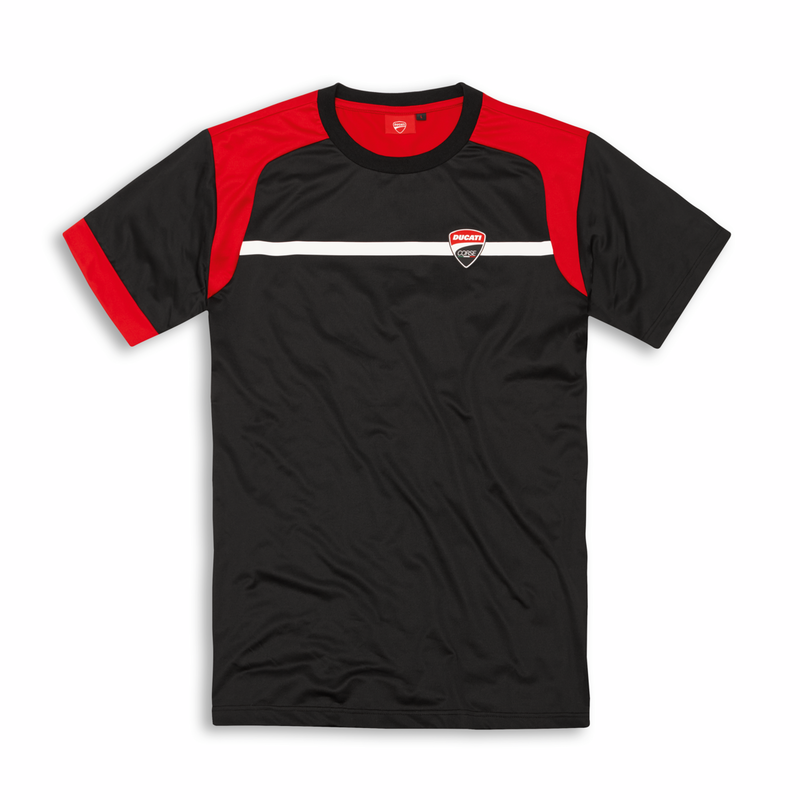 Also available in black, it has undergone the Aquamove treatment to wick away moisture while keeping your body dry. 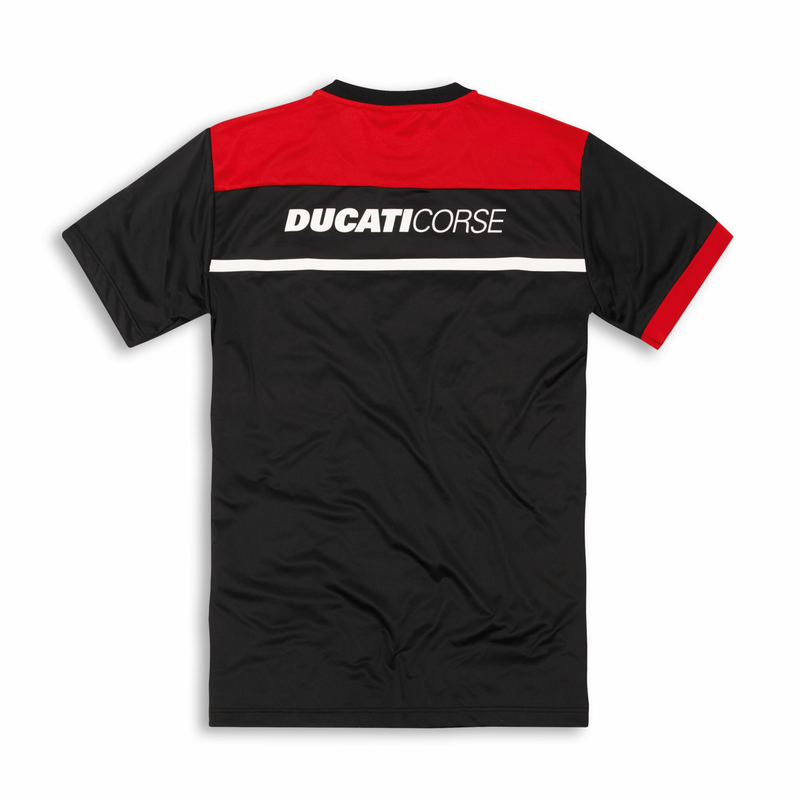 The fan's T-shirt by definition.